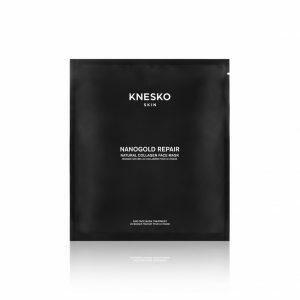 Retain moisture and create the look of refined, firm skin with KNESKO’s Nano Gold Repair Collection collagen masks. 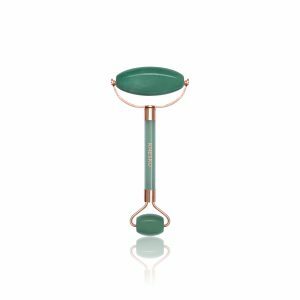 Using cutting-edge GEMCLINICAL™ technology from naturally-derived ingredients, these premium skincare treatments pamper your skin, leaving you with a more radiant and supple appearance. Embraced by celebrities and top skincare specialists worldwide, our masks are specifically designed to treat the eyes, face, neck, lips and décolletage areas. 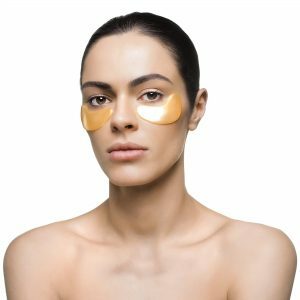 Infused with gold nanoparticles and polypeptides, our doctor-formulated, cruelty-free mask treatments work to improve the look of skin at any age. 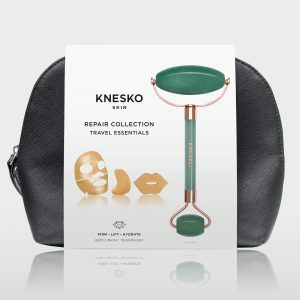 They are perfect for weekly at-home skincare maintenance, or a luxe treat before a special event! 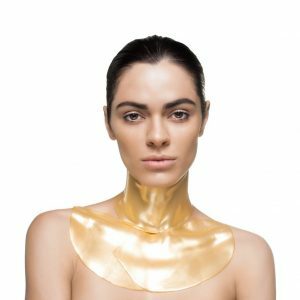 Our gold collagen masks help to channel and balance your body’s natural Reiki energy, enhancing its healing properties. Gold mineral is associated with the Third Eye Chakra and elevates your capacity for inner vision and self-knowledge. Go for the gold with our full facial mask, ideal for firming, lifting, and hydrating skin while purging negative energy blocks at the same time. Experience the transformative effects of polypeptide nanotechnology as the skin healing properties of colloidal gold and marine collagen combine to deliver age-defying benefits including the appearance of minimized redness, reduced inflammation, and improved elasticity. 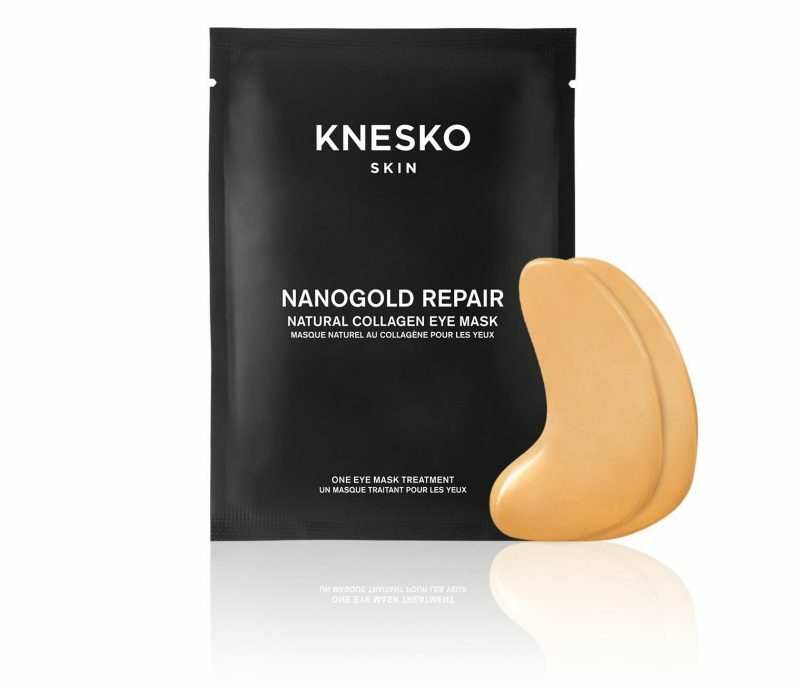 Target crow’s feet and puffiness with our gold eye mask treatment. Apply pads to the sensitive area around your eyes for an instant wake-up. As the nanotechnology works its hydrating, restorative magic, acknowledge the healing effects within your soul as the gold mineral activates your center of intuition and self-confidence. 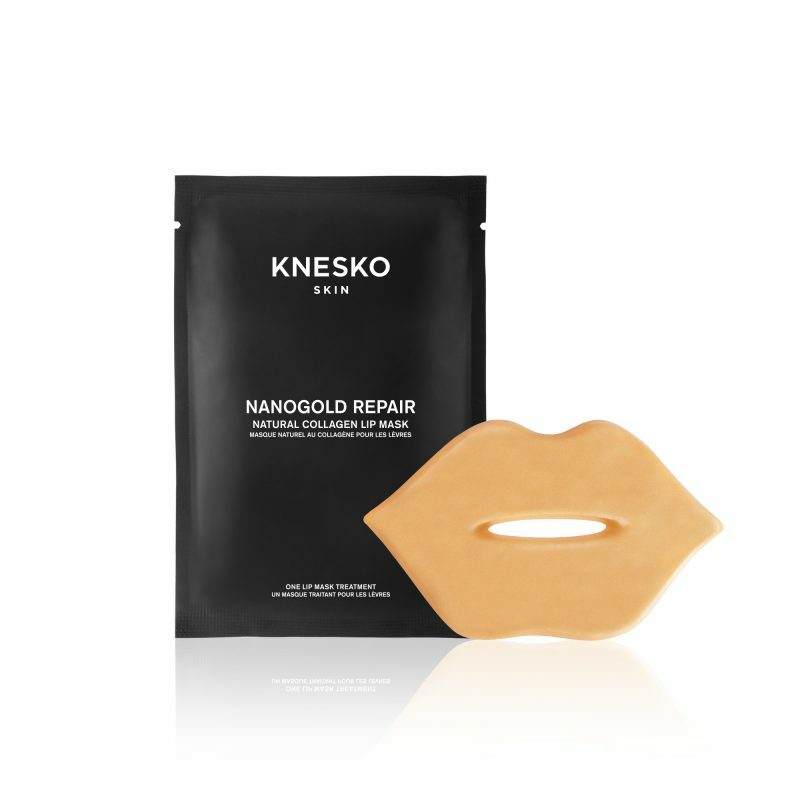 Get the perfect pout with KNESKO’s gold collagen lip mask, infused with polypeptides and 24K colloidal gold. 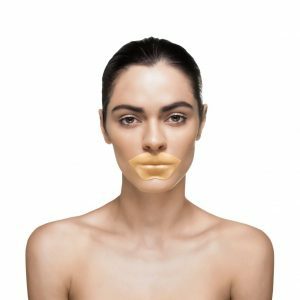 Lip masks offer intense hydration to nourish, plump, and repair the delicate skin of the lips and surrounding skin. Your neck and décolleté region is one of the most vulnerable places on your body, and frequently overlooked when applying your at-home skin care routine. 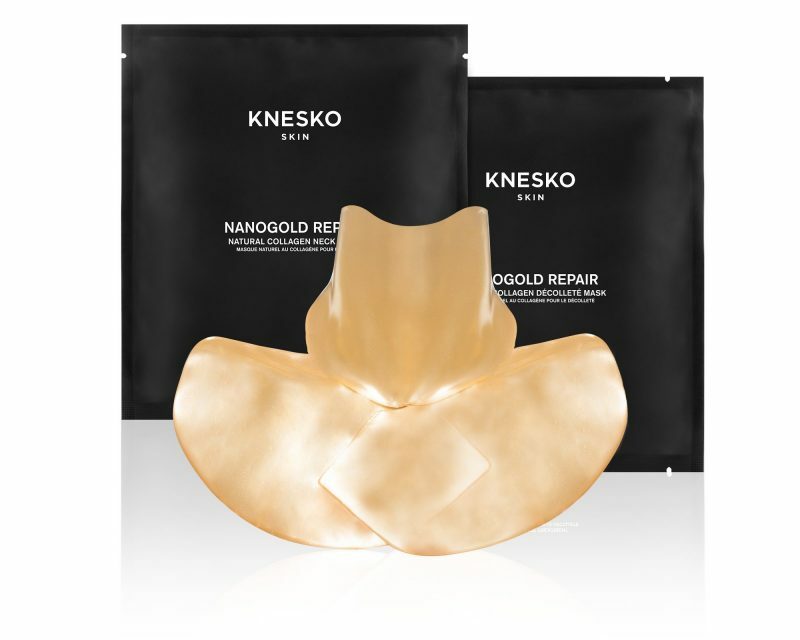 Revitalize that delicate skin with our exclusive Nano Gold Repair Neck and Décolleté Masks Combo, formulated with Nano Gold particles and polypeptides. Developed by a team of doctors, our trade-secret formula promotes rapid absorption to deliver instant, age-defying benefits that help firm, smooth, and hydrate the skin of the neck and chest. 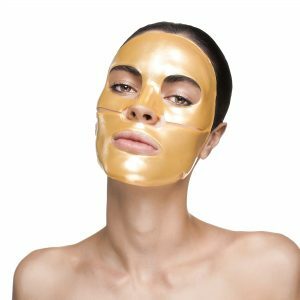 What Makes Our Gold Masks Different? Colloidal gold is meant to reduce the appearance of inflammation and redness in the skin. Free radicals are everywhere, creating parched, crepey skin and other environmental damage that is difficult to bounce back from without the proper skincare ingredients. 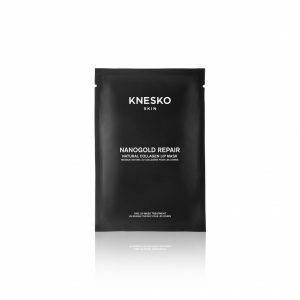 The polypeptides in KNESKO’s gold masks help turn back the clock by mimicking your skin’s natural collagen and stimulating the production of amino acids needed for healthy, hydrated cells. 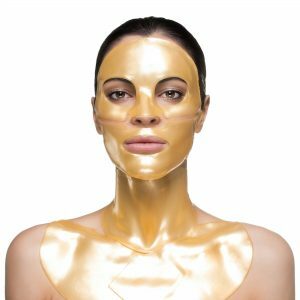 Allow pure gold light into the chakras with our 24K Gold Masks, infused with Reiki energy, and aimed at revitalization, overall wellness, and improved appearance. 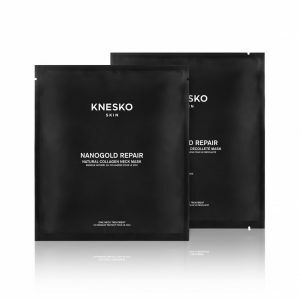 Our Nano Gold Repair Collection features masks for your face, eyes, lips, neck and décolleté, available in single treatments, bundles, or a set containing them all. 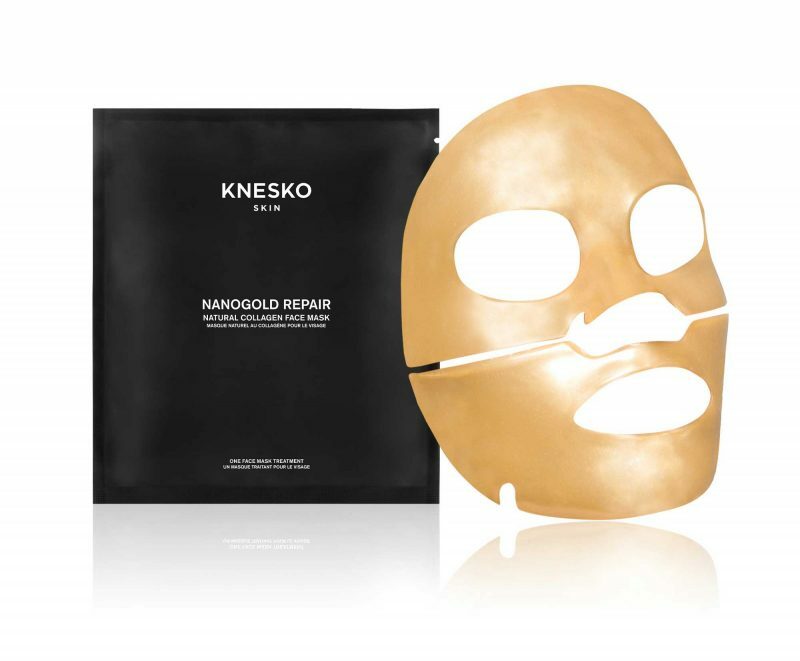 Enjoy at-home beauty treatments at their best with the gold mask line from KNESKO.